Gets a mildly revised exterior and a new finish for the interior. The Peugeot Exalt concept in a slightly revised state (one that is Euro spec according to the maker) was shown at the 2014 Paris Motor Show. 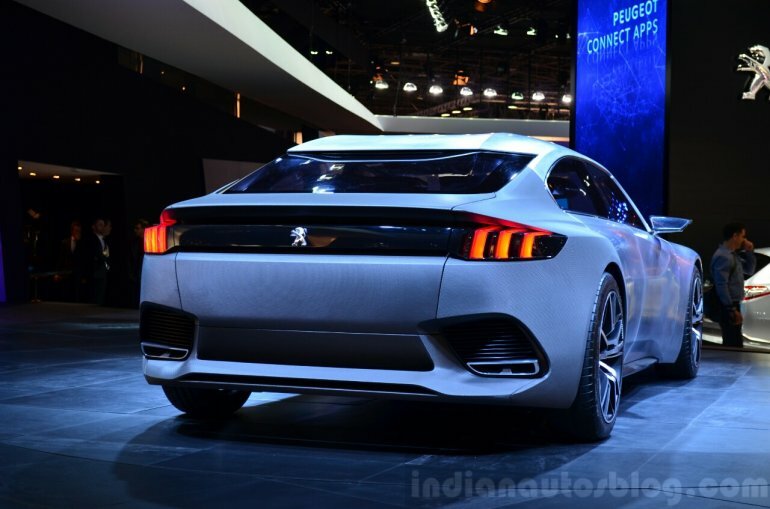 The Exalt concept had its world premiere this year at the Beijing Motor Show, however, the concept seen at Paris is mildly different. 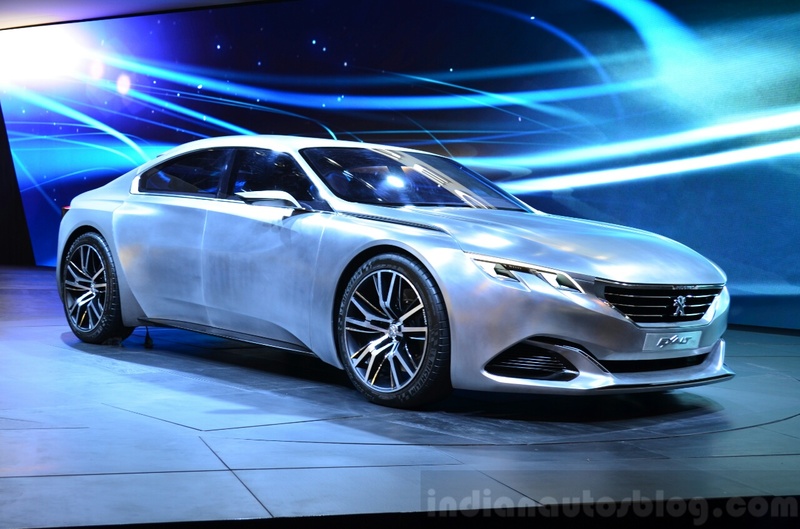 The exterior of the concept for Paris is covered in bare steel with shades of grey, while the interior is seen with a new 'Newspaper Wood' finish, which is made from pages of major business dailies, says Peugeot. The tailgate of the concept gets an "ingenious opening mechanism" providing easy access to stow the Peugeot HYbrid-kick, a small scooter. 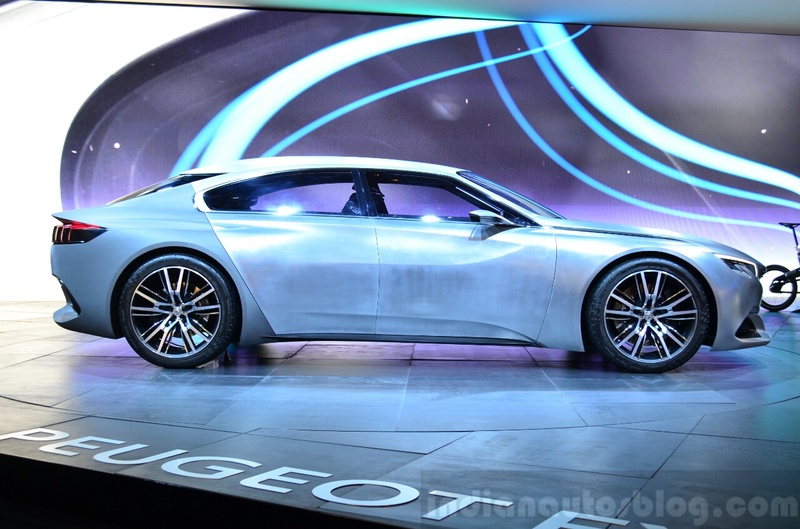 The concept measures 4.7 meters in length, 1.31 meters in height and gets 20-inch wheels. 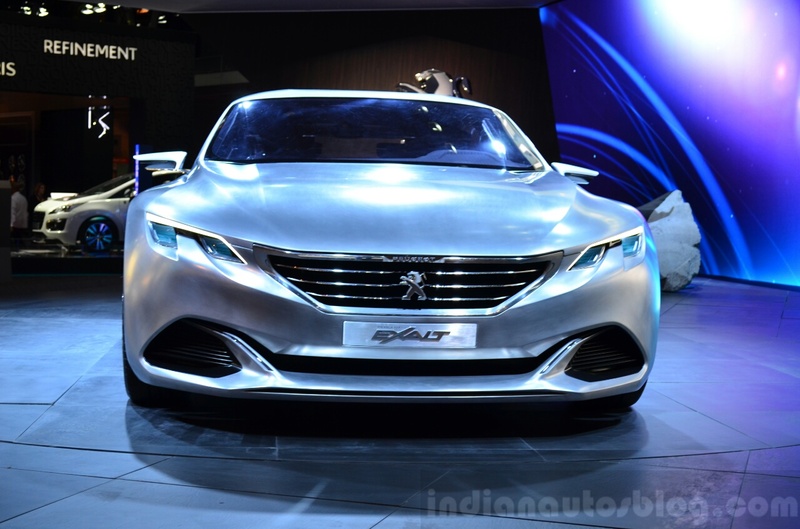 According to Peugeot, the Exalt weighs less than 1,700 kg. Powering the concept is a petrol-electric drivetrain which makes a combined output of 340 bhp. The 1.6-liter turbocharged four-cylinder gasoline engine works in tandem with a 50 kW electric motor mounted on the rear axle. A 6-speed automatic transmission is used.